Everywhere I look things are green. Not just in the way that things looks after a few good rainstorms, but the way it looks when everything is a riot of green. And most of that green usually tends to be weeds. My yard is full of them, the farms are full of them, everywhere is full of weeds. They are doing exactly what they are designed to do: emerge when the rains come and produce seed as quickly as they can. And they also make a lot of work for farmers just when the season is at its peak. Another thing keeping growers on their toes? Bugs! The rain seems to bring out all the grasshoppers, potato bugs, beetles, hornworms, and all those biting bugs as well. It sure is wild out there! 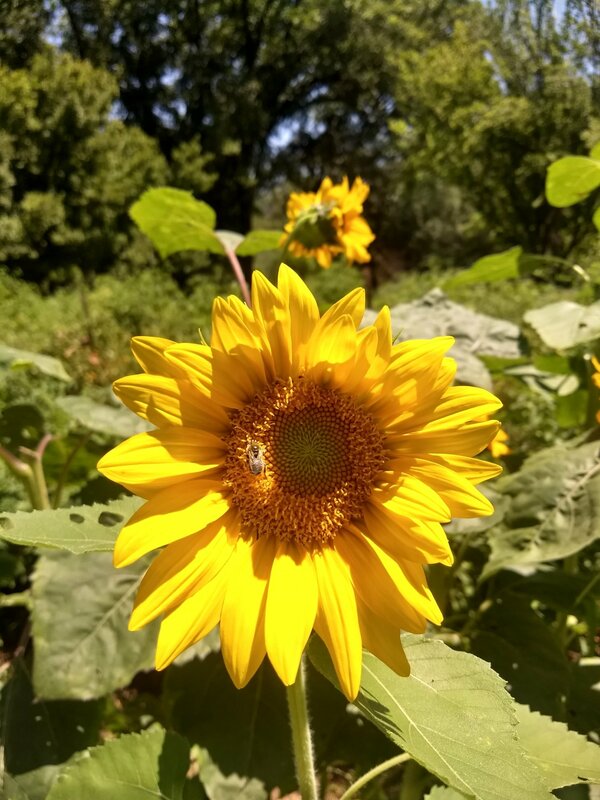 While the rest of us are hiding out in air conditioned, bug-free homes and offices, our favorite farmers are out braving the heat, rain, bugs, and weeds to bring us delicious produce week after week. I am so grateful for them! Thank you farmers!! 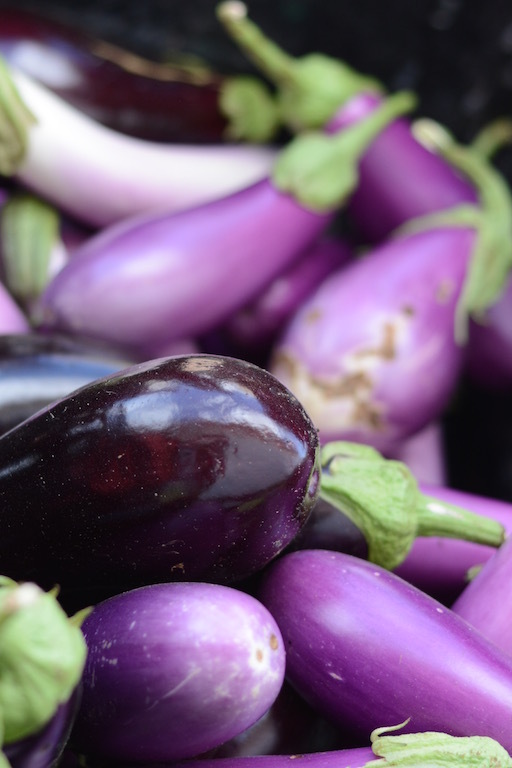 This week we get to enjoy more of the delicious hot weather crops like tomatoes, eggplant, cucumbers, and peppers, as well as head lettuce, kale, carrots, and Asian pears. How lucky are we? 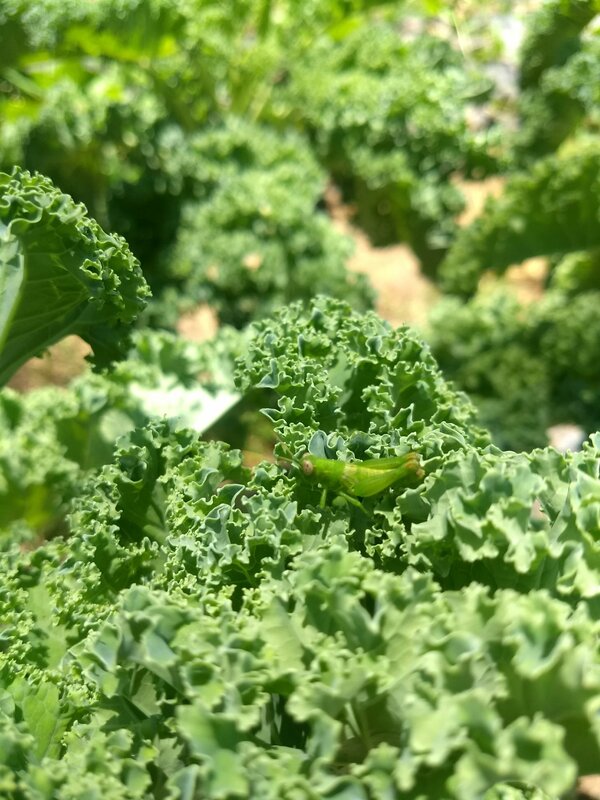 The grasshoppers are fighting us for the kale! 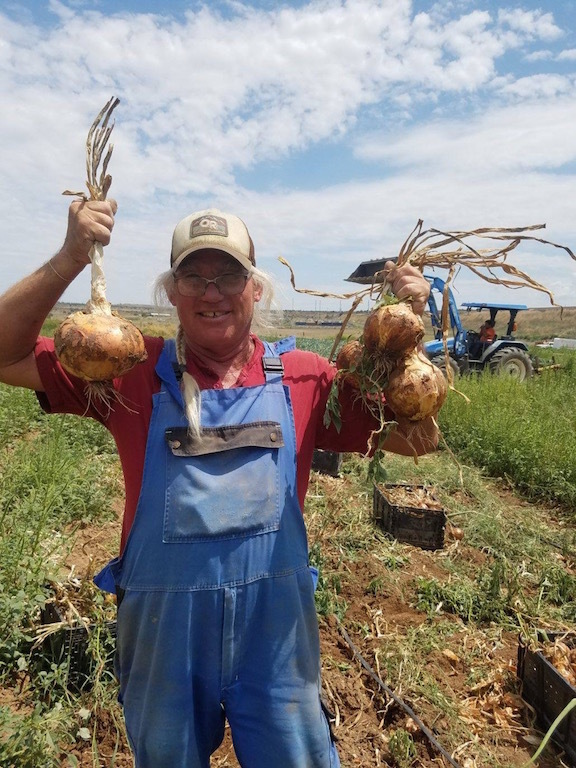 Cory showing off some amazing onions at Whipstone Farm.